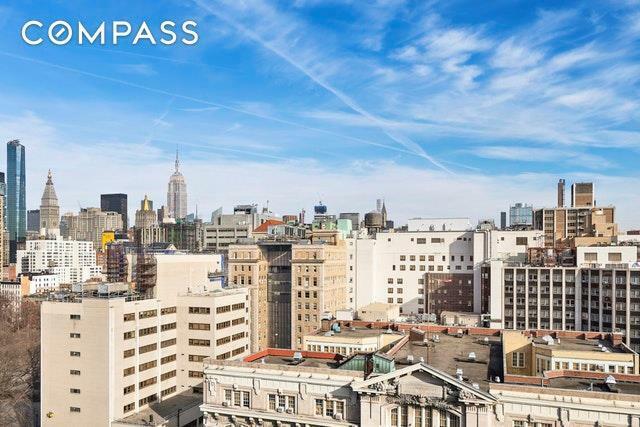 Unobstructed City Views encompassing The Empire State and Chrysler Buildings from both the living and bedroom. The spacious living room allows for a separate dining area. The updated kitchen features stainless steel appliances and granite counter tops. The large bedroom easily accommodates a king size bed with plenty of room to spare. 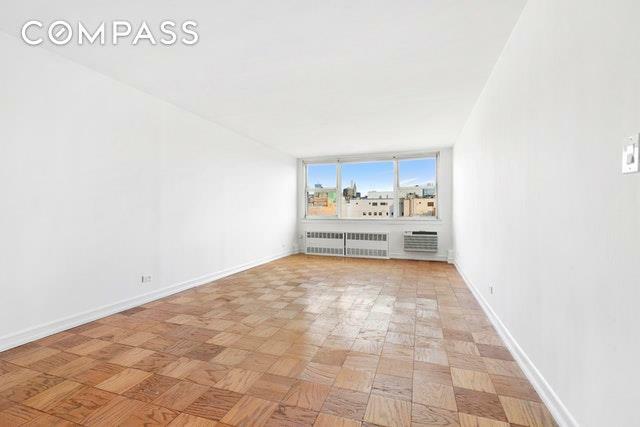 Additional conveniences include thru wall A/C units in the living room and bedroom as well as generous closets. 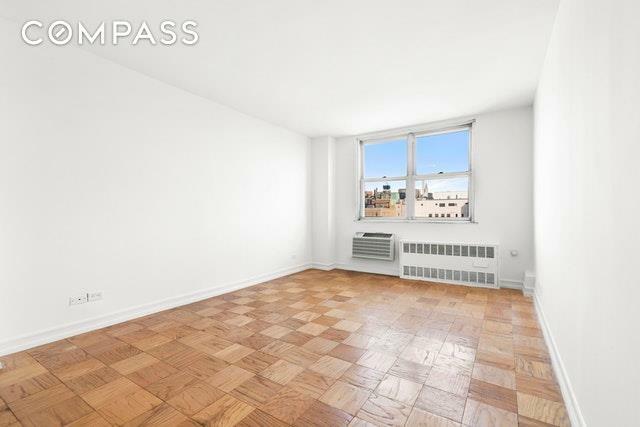 333 East 14th is a highly sought after co-op, ideally located on the border of the East Village and Gramercy. Building amenities include a live in super, recently renovated laundry room, bike room and part time doorman (2-10 M-F, 10-6 Sat & Sun). Restaurants and shopping abound, including Trader Joes and Target within blocks. With the L train across the street and Union Square just blocks away, transportation could not be easier. Pets allowed. 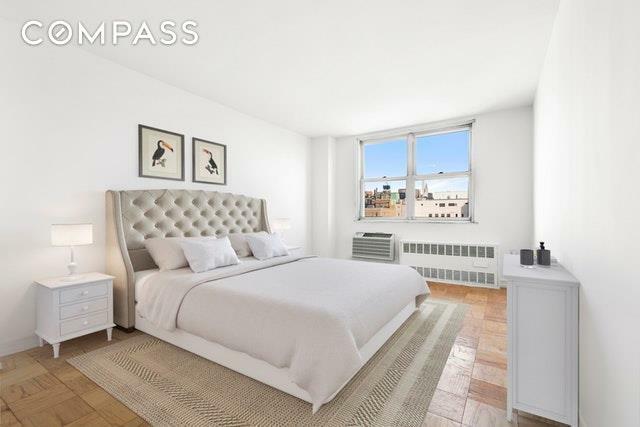 Listing courtesy of Richard Herschenfeld of Compass.